Studio(s): ABC Signature Studios, Groundswell Productions, HBO Films. Cast: Kerry Washington (Anita Hill), Wendell Pierce (Clarence Thomas), Erika Christensen (Shirley Wiegand), Zoe Lister-Jones (Carolyn Hart), Greg Kinnear (Joe Biden), Grace Gummer (Ricki Seidman), Jeffrey Wright (Charles Ogletree), Eric Stonestreet (Ken Duberstei), Kimberly Elise (Sonia Jarvis), Jennifer Hudson (Angela Wright), Alison Wright (Virginia Thomas). Story: Confirmation, the HBO original movie details the 1991 Clarence Thomas Supreme Court nomination hearings. 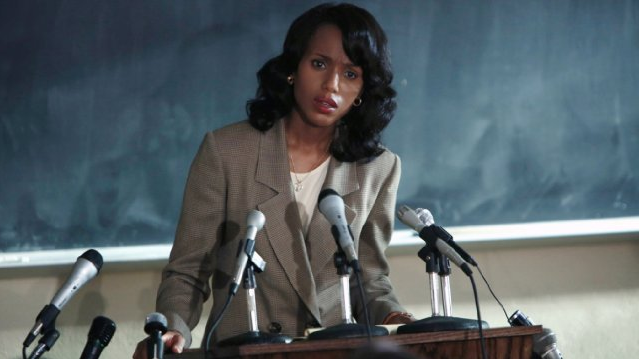 Kerry Washington portrays law professor Anita Hill, who accused Supreme Court nominee Clarence Thomas of sexual harassment. With Wendell Pierce as Judge Thomas and Greg Kinnear as Democratic Senator Joe Biden, who presided over the hearings as chairman of the Senate Judiciary Committee. Jeffrey Wright plays Harvard law professor Charles Ogletree, Professor Hill’s lead attorney during the hearings. Also Kimberly Elise plays Sonia Jarvis, a civil rights attorney on Anita Hill’s legal team. 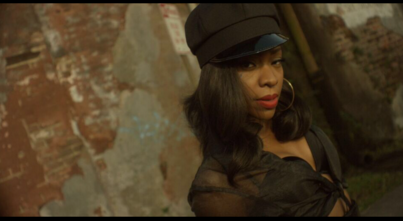 Jennifer Hudson portrays Angela Wright, another Thomas accuser. Erika Christensen plays Shirley Wiegand, Hill’s close friend and Alison Wright portrays Ginni Thomas, Thomas’ wife. Source: Shadow and Act. 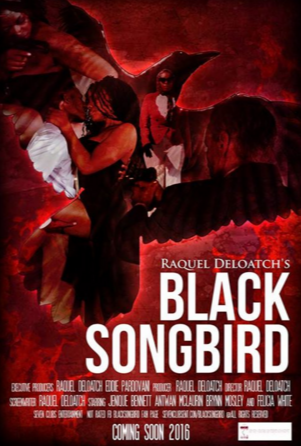 Story: Blinded by ambition to find the killers of her childhood friends and advance her career, rookie journalist Knight Daye is recruited by the FBI to go undercover as a party hostess at a club that fronts for organize crime. Knight enters there glamorous world, but learns that there is something more sinister lurking behind all the glamour. Source(s): IMDB. 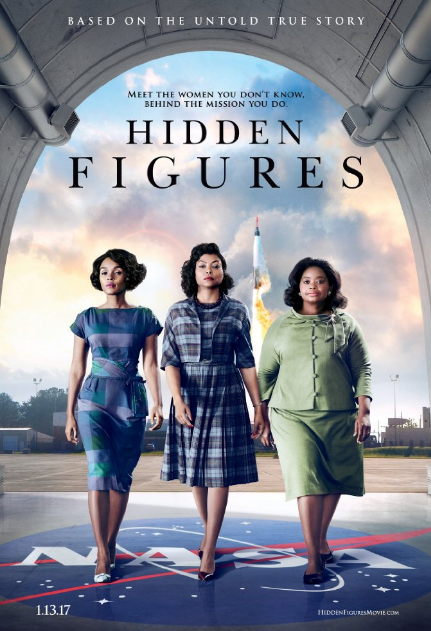 Cast: Emayatzy Corinealdi (Belle), Laurence Fishburne (Alex Haley), Carlacia Grant (Irene), Malachi Kirby (Kunta Kinte), Rege-Jean Page (Chicken George), Mekhi Phifer (Jerusalem), Anika Noni Rose (Kizzy), T.I. (Cyrus), Forest Whitaker (Fiddler). Story: Remake of the classic TV mini-series that remains one of history’s most watched U.S. broadcasts. The historical portrait of American slavery recounts the journey of one family and their will to survive and ultimately carry on their legacy despite hardship. 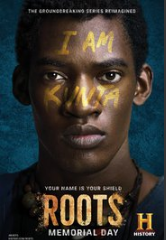 Roots will be simulcast on the History Channel, A&E and Lifetime with a May 30th. Source: Dark Horizons. Studio: The Tyler Perry Company, Lionsgate. Cast: Tyler Perry (Madea/Joe/Brian), Bella Thorne (Rain), Jimmy Tatro (Sean), Diamond White (Tiffany), Yousef Yousef Erakat (Jonathan), Cassi Davis (Aunt Bam), Andre Hall (Quinton). Story: Tyler Perry will write, produce, direct and star in Boo! A Madea Halloween. The film originated from Perry and Chris Rock including a fictitious Madea Halloween movie in Rock’s 2014 film Top Five. Lionsgate then approached Perry and suggested that they actually make the movie which will be the ninth Madea film since the release of the first – Diary of a Mad Black Woman – back in 2005. 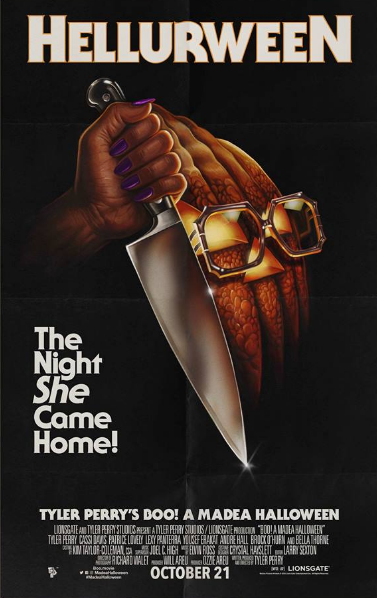 This time Madea spends Halloween fending off killers, paranormal poltergeists, ghosts, ghouls and zombies while keeping a watchful eye on a group of misbehaving teens. Source: Variety.